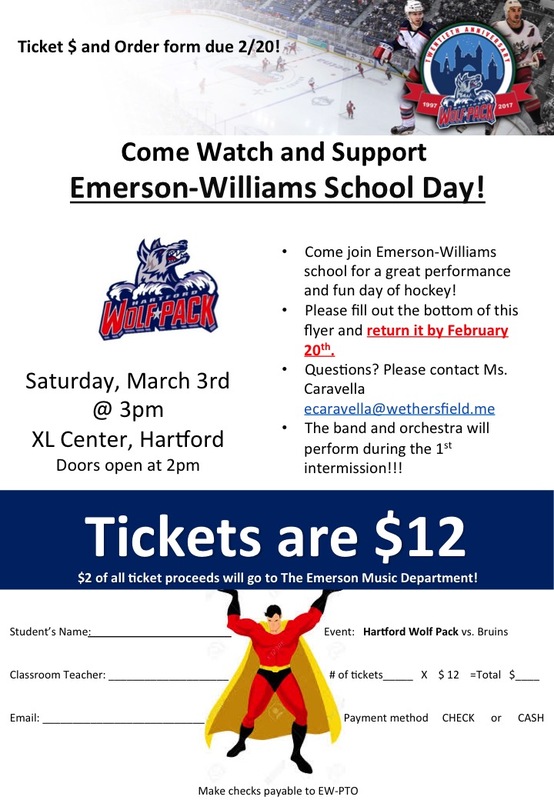 Emerson-Williams Elementary School: Instrumental Music! - News! STEAM NIGHT: Make Your Own Instrument Station! 3rd Grade Instrument Petting Zoo!! 3rd Graders tried out all of the instruments on Monday! They will be picking instruments so they can be part of our Instrumental ensembles next year!! Some of our 5th and 6th graders were nice enough to prepare solos and put on a concert for 3rd grade as well. I am SO excited to teach them soon! CONGRATULATIONS CMEA Elementary Honors Musicians! 14 of our Emerson Tigers were selected to be in the CMEA Elementary Honors Band, Orchestra and Chorus. They participated in a one-day festival where they performed with over 140 students from across the state! They were AMAZING!!! DonorsChoose.org + Yamaha Matching Project! DonorsChoose.org and our amazing Emerson Music Friends helped us get some awesome wireless headphones to use with our SmartMusic Accounts last school year. https://www.donorschoose.org/project/staying-in-tune-music-supplies/2703796/?rf=link-siteshare-2017-08-teacher-teacher_3128031&challengeid=20649064 So our $511 project will be FULLY funded with $256 in donations! Now is a great time to start thinking about instrument rentals for the school year (beat the rush!) Many stores will even ship your child's instrument to Emerson Williams! Please email me (ecaravella@wethersfield.me) with any questions you have as you start this process! Questions on supplies, instrument purchases or where to find music stores? Here are the supply checklists by instrument. Have a great rest of summer everyone! Please feel free to email me if you have any questions! On Sunday, March 5th, The E-W Band and Orchestra played at the Super Hero Wolfpack Game! 96 musicians rocked the XL center with "Eye of the Tiger"!! Thank you to EVERYONE who came to Wolfpack today, cheered us on, chaperoned, hauled equipment across the XL Center, photographed and made sure our performers had an amazing experience! Note Reading Games! - Improve your music reading skills! 1. Is it a line or a space note? 2. Where is a note I know? 3. Is it higher or lower than that note? 4. Count down or up = note! Please note: You must use the top right actions area to change to your clef! (Treble, Bass or Alto) if your clef looks different you must check this! 2. I knew you were TREBLE when you walked in - Helpful hints on how to read in Treble Clef! 3. Alto Clef (violist friends) I can't find a cool video yet- maybe we have to make our own :) Violists did make up a great saying to remember the lines "Four Alligators Chasing Every Gorilla"